JFMS has partnered with helicopter firm NHV. NHV Group has inked a deal with Siemens Gamesa to provide helicopter services during the construction of the Beatrice Offshore Wind Farm in the Moray Firth. 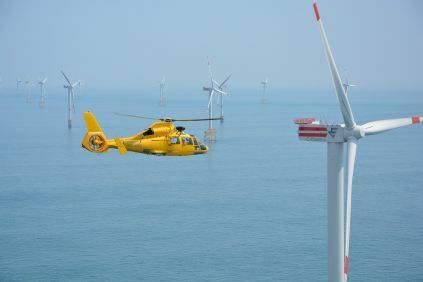 The Belgian helicopter firm said today that the contract runs from mid-summer until spring 2019 and will see it provide flights from its Aberdeen base to the wind farm’s location. NHV will use Airbus H175 aircraft to fulfill the contract. NHV intends to have a fleet of 16 of the aircraft. The firm said the H175 was specifically designed to meet the needs of the oil and gas industry. Jamie John, NHV’s base manager, said: “We at NHV are delighted that Siemens Gamesa have selected NHV to partner with them in the construction of the Beatrice Offshore Wind farm. This strengthens the strong working relationship between us, with NHV having previously supported wind farm operations in the Southern North Sea.